NEW YORK (AP) — Former Vice President Joe Biden condemned "a white man's culture" Tuesday night as he lashed out against violence against women and, more specifically, lamented his role in the Supreme Court confirmation hearings that undermined Anita Hill's credibility nearly three decades ago. The 76-year-old Democrat delivered the remarks at a New York City event honoring young people who helped combat sexual assault on college campuses. 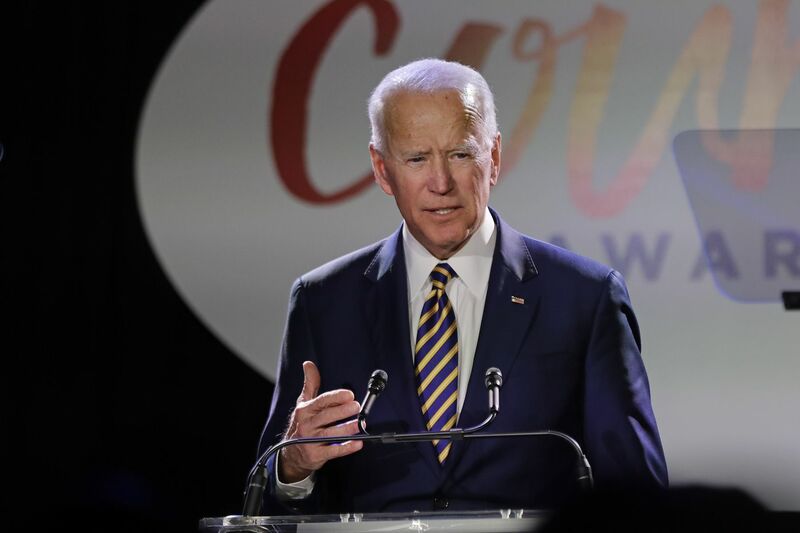 The event, held at a venue called the Russian Tea Room, was hosted by the Biden Foundation and the nonprofit group It’s on Us, which Biden founded with former President Barack Obama in 2014. Biden is perhaps the last high-profile Democrat who has yet to announce his or her 2020 intentions. He has a small team of political operatives laying the groundwork for a run, but he has acknowledged publicly in recent weeks that his entrance in the presidential race is no sure thing. Biden’s role in the 1991 Clarence Thomas confirmation hearings are among his many political challenges as he weighs his place in today’s Democratic Party. Should he run, he would be among a handful of white men in a Democratic presidential field that features several women and minorities. In remarks that were rambling at times and spanned more than a half hour, Biden repeatedly denounced violence against women. It’s a topic Biden knows well. As a senator, he introduced the Violence Against Women’s Act in 1990.